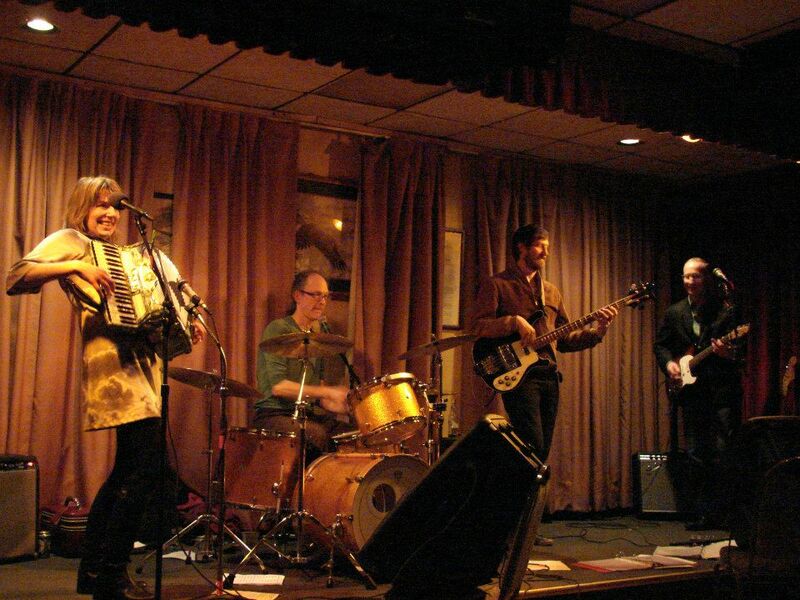 The weekend forecast for downtown Northfield, MN is warmer and drier, with plenty of music. It’s not MayFly or JuneBug, but with all the music at the Cow, it must be JulyBeetle. Thea Ennen & Dave Ja Vue, The Zillionaires, Ageless, Optimum Trajectory, Nigel Egg, and the Lone Wolf One Man Band…down by the river. Friday, July 18th: Thea Ennen & Dave Ja Vue, 6:00 to 9:00 p.m., Contented Cow; Billy Johnson, 8:00 p.m., Tavern Lounge; Room for Gray, 9:00 p.m., Froggy Bottoms; and The Zillionaires, 9:00 to 11:00 p.m., Contented Cow. Saturday, July 19th: Eat Local Farm Tour, times vary, pick up a tour book at Just Food Co-op; Riverwalk Market Fair, 9:00 a.m. to 1:00 p.m., Bridge Square; Ageless, 5:00 to 7:00 p.m., Contented Cow; Relativity, 8:00 p.m., Tavern Lounge; Optimum Trajectory, 7:00 to 9:00 p.m., Contented Cow; and Nigel Egg, 9:00 to 11:00 p.m., Contented Cow. Sunday, July 20th: Lone Wolf One Man Band, 6:00 to 7:30 p.m., Contented Cow; and Quiz Night, 8:00 p.m., Contented Cow.